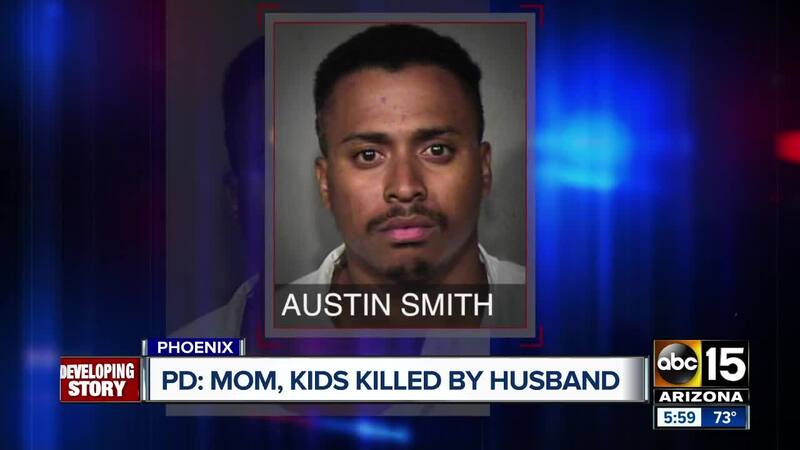 Austin Smith has been arrested and charged with killing his wife, two of his children and a family friend near 67th Avenue and Camelback Road. 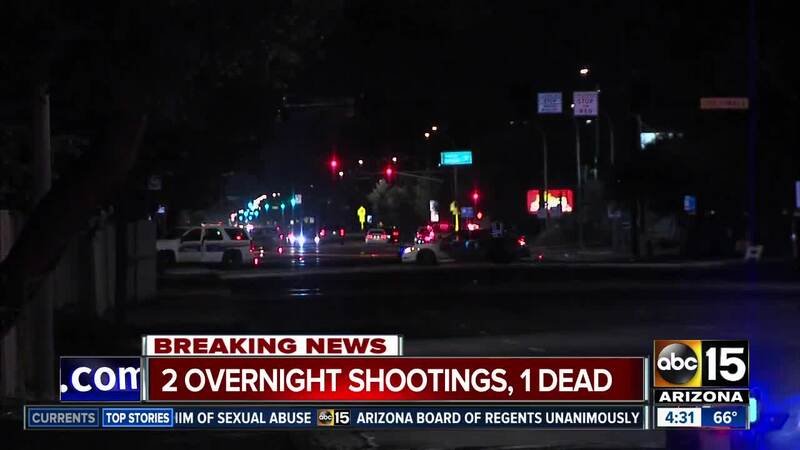 PHOENIX — Phoenix police have identified the suspect accused of killing four people in a shooting spree Thursday night. Police say Smith believed his wife, Dasia Patterson, was cheating on him with his brother. He returned home from a local bar around 8:15 p.m. and confronted Patterson about the alleged affair, which she denied. 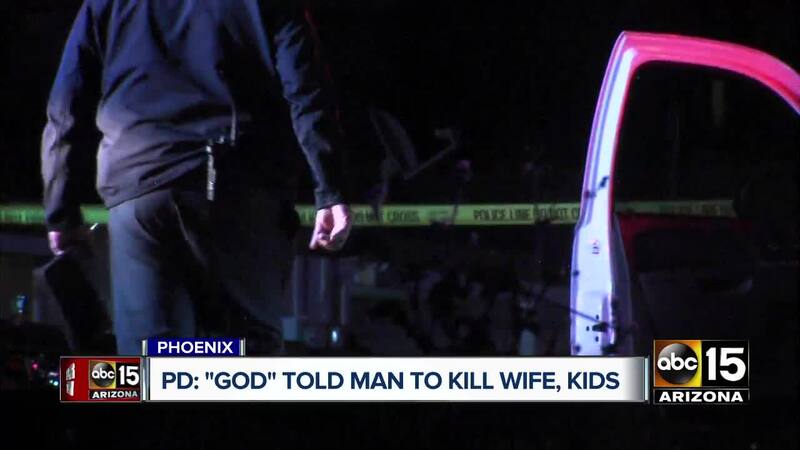 According to court paperwork, Smith told police he shot Patterson and his 5-year-old daughter, Nasha Smith, because he felt it was what God had told him to do. Police say Smith then went to where his brother was staying, an apartment near 67th Avenue and Osborn Road. He first encountered Ron Freeman, a family friend who said he was crazy to think his wife would cheat on him. In a probable cause statement, police say Smith admitted to then going to his car, grabbing a rifle and starting to shoot at friends of his family trying to help Freeman because God told him to shoot them. Smith eventually left the scene, but was stopped by police a short distance away and taken into custody without incident. Authorities say in November of 2018, officers responded to Smith's home after a neighbor called to report he had a gun and was yelling that people were trying to kill him. Smith said he would do whatever was necessary to protect himself and his family and said he was armed. When the officers arrived, they found Smith had a handgun in a holster on his hip. Police say Smith was cooperative with the officers and was not aggressive towards them. However, because of his behavior, the officers took Smith to a psychiatric center and impounded three guns he had for safekeeping. Later that month, Smith requested his guns back from police. 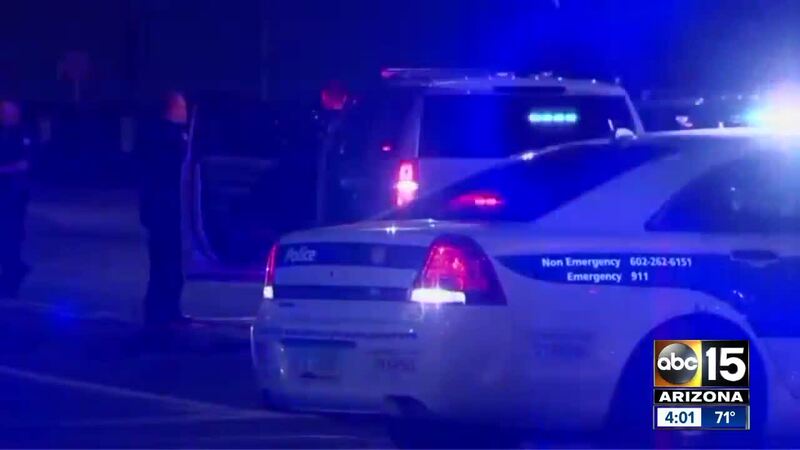 According to officers, a records check was conducted and Smith had no outstanding warrants and was not a prohibited possessor so, in accordance with the law, his three guns were returned to him. A map of the different scene locations involved in this case is below. The level of violence shocked those who lived in the area and knew Smith and his family. "He was very outgoing; he made sure that everybody knew him, he spoke to everyone here. He got along with everyone, laughing, had conversations, joking but the wife was always inside," Carmen Gallego said, who lives near the suspect's home. "I just can't imagine the other little girl, they found, under the bed," said another neighbor who didn't want to be identified. "She (wife) just seemed so normal and humble in this way...with her daughter, coming out and playing with her daughter and her bike." Watch the full press conference from Friday morning in the player below.